It can sometimes be hard to remember, but summer music isn’t all about the Ramones and Blue Cheer. 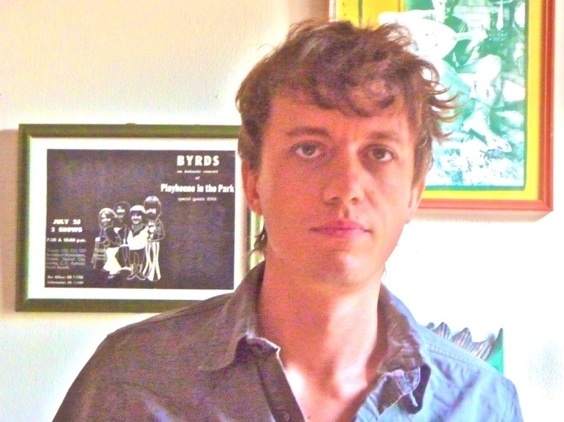 There are moments for relaxing, “stopping to smell the flowers” if you will, and Steve Gunn is just right for those moments. The New York-based guitarist and songwriter just released his newest album, Time Off, on Paradise of Bachelors. Unlike his previous albums, which leaned on more traditional American Primitive instrumental guitar sounds, this record finds Gunn stepping up to the mic with full band accompaniment. The result is an amazing slice of ethereal groove a la William Tyler or even the softer side of Led Zeppelin (don’t act like “Going to California” doesn’t rule, you fickle herb). Though Gunn’s touring schedule seems limited for the time being, you can see him at Mercy Lounge tomorrow night playing guitar in Kurt Vile & the Violators. Either way, pick up a copy of the record ASAP. It’s too good.